Lifestyle Food and Recipes 01 Mar 2019 Cheers to beers! Iceland celebrates thirty years of the end of a beer-ban, which ended in 1989 as ‘Beer Day’. Reykjavik: Thirty years ago, a sobering dry spell in Iceland’s history came to an end. On Friday, the country celebrates the anniversary of the lifting of a decades-long ban on beer with what else? A nationwide Beer Day. The drink was outlawed in Iceland for 74 years, while all other booze was completely legal. The alcoholic anomaly finally ended on March 1, 1989. The beer ban was a leftover from the country’s prohibition era, which started in 1915 when the population voted in a referendum to outlaw all alcoholic drinks. The ban was partially lifted seven years later out of economic necessity, Spain refused to buy Iceland’s main export, fish, unless Iceland bought Spanish wines. Prohibition was repealed in another national referendum in 1933. But the majority vote was tight and to appease a powerful temperance movement Iceland’s parliament decided beer would remain illegal. Historian Stefan Palsson, moonlighting as a teacher at a brewery-based “School of Beer,” said that at the time Icelanders didn’t miss it. “They drank in order to become drunk and beer wasn’t really efficient for that,” he said. Alcohol abuse remains an issue. One in 10 Icelandic males over the age of 15 have been to rehab at least once in their lifetime, according to SAA, the country’s leading addiction treatment centre. With alcoholism still widespread, most Icelanders favour strict government restrictions on alcohol sales. Apart from the country’s bars, alcohol beer included is only sold at government-run monopoly stores, with limited opening hours and high taxes. A pint of beer costs about 1,100 krona ($9) in bars, while a bottle of Smirnoff vodka costs the equivalent of $67 in the stores that sell it. A thirst for change began in the 1970s when Icelanders increasingly started vacationing in sunny European beach resorts and developed a taste for a cooling beer. Back home, local bartenders responded by inventing the “bjorliki” cocktail, a pseudo-beer made by blending non-alcoholic pilsner with aquavit in very variable ratios. Yet a large part of the population still opposed lifting the beer ban when parliament debated the issue for the last time in 1988. Steingrimur Sigfusson, who is parliamentary speaker today, at the time painted a gloomy picture of the chaos that would result as “hundreds of taverns” opened up to crowds with no experience of the beverage. He voted against the proposition. He still defends the country’s restrictive alcohol policy that aims to limit binge and teen drinking. “The worst-case predictions never came true but underage drinking did increase,” Sigfusson said. The ban finally ended on a Wednesday. 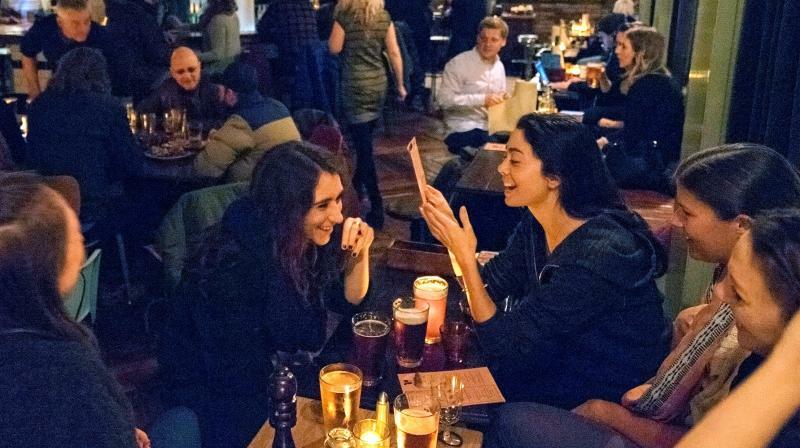 All four bars in Reykjavik were jam packed with drinkers toasting their new-found freedom while the country’s population of 260,000 celebrated by buying more than 340,000 cans of beer at overcrowded Vinbudin monopoly stores.